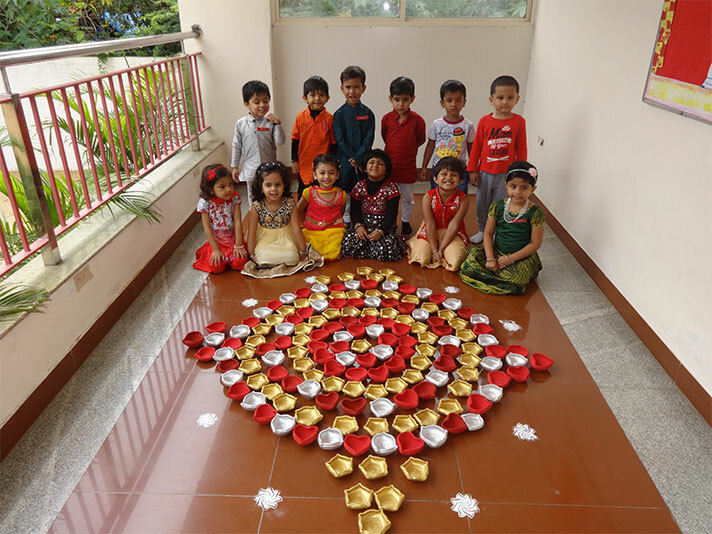 On 17 October 2017, Diwali was celebrated with a joyous spirit. 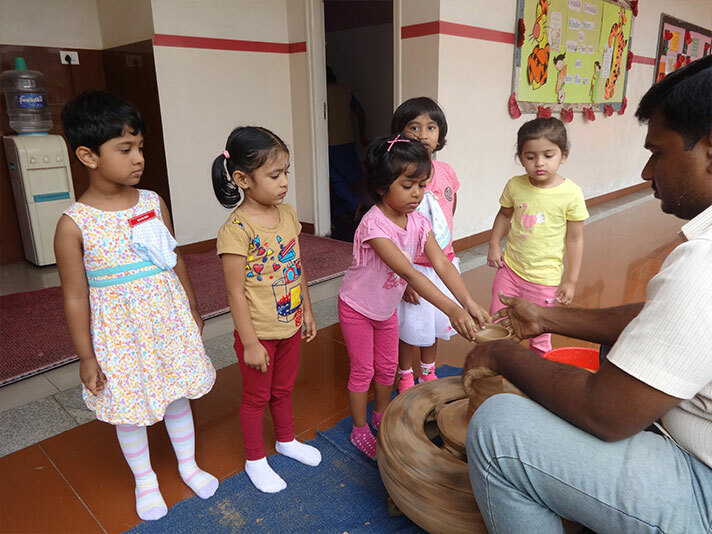 As a lead up to the celebrations, we had a potter visit us and assist the children make their own earthen lamps to take home for the occasion. It was a unique experience for the children. 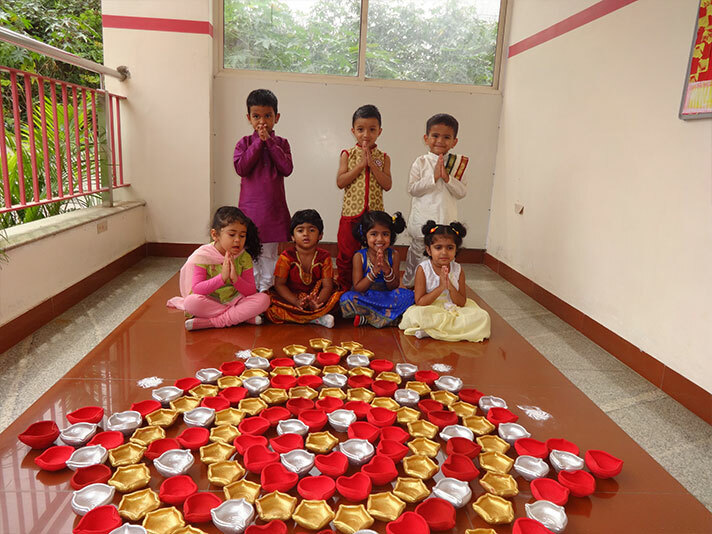 They were also told the story of how Diwali came about to be celebrated and the significance of lighting up of lamps with the help of a PPT. The event also saw the teachers perform a small lamp dance as a surprise for the students which they enjoyed thoroughly and showed their appreciation by matching their footsteps with that of their teachers.